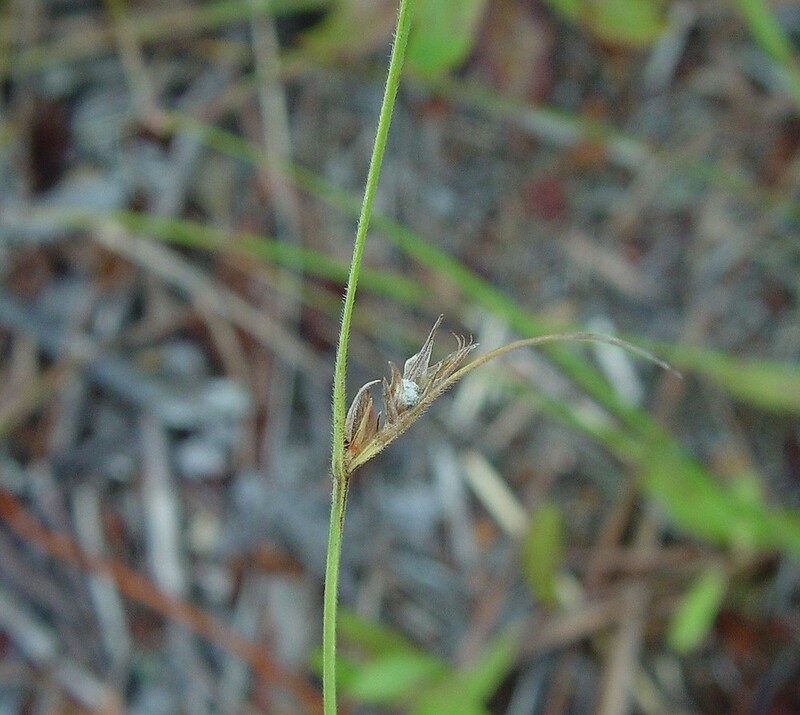 Few-flowered nutsedge is an inhabitant of sandplains, pine barrens, oak shrublands and seasonally wet, sandy sites. It is rare in New England. There are two varieties in our region. 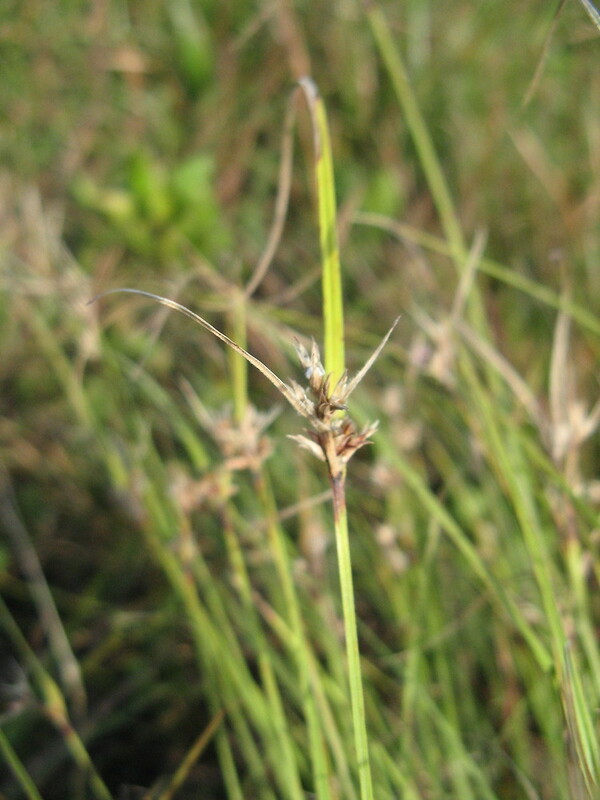 Scleria pauciflora var. caroliniana is distinguished by having dense pubescence, and S. pauciflora var. 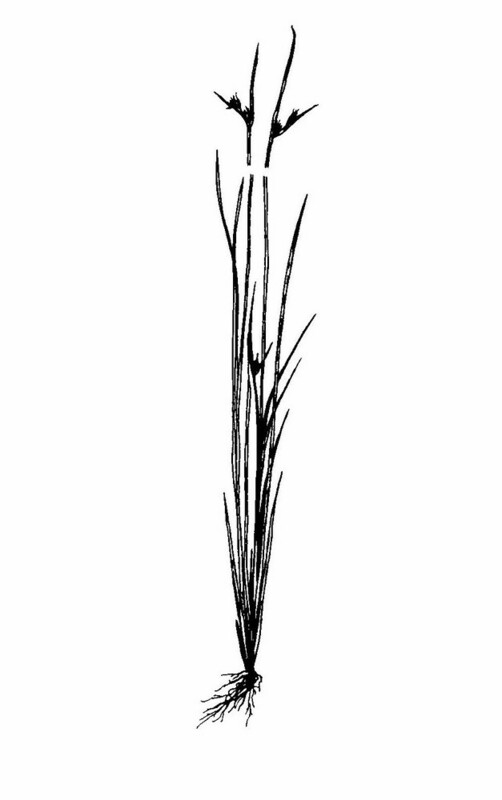 pauciflora is distinguished by having short, sparse pubescence, and is found only in Massachusetts and New Hampshire. 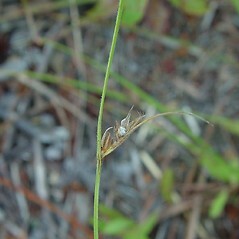 hypogynium with 3 oblong lobes, without tubercles, achene body reticulate-patterned with polygonal pits, and inflorescence a panicle of clusters, with visible branches (vs. S. pauciflora, with the hypogynium without lobes, bearing 6 globose tubercles arranged in 3 pairs, achene body papillate-verrucose, these projections sometimes arranged to provide the appearance of irregular transverse ridges, and inflorescence a dense terminal cluster, sometimes with 1 or 2 axillary clusters as well). 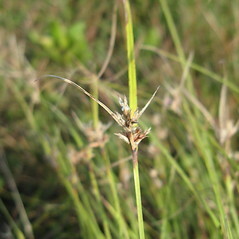 Scleria ciliata Michx. var. 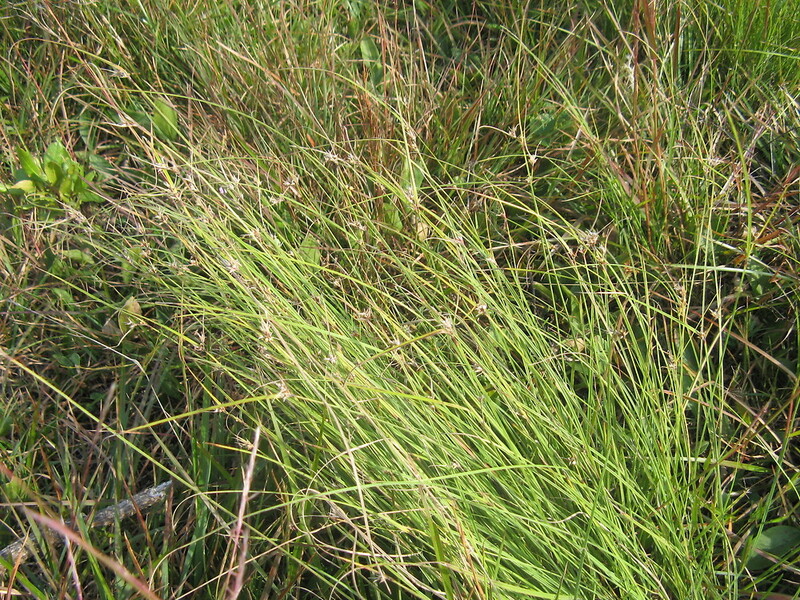 pauciflora (Muhl. ex Willd.) Kükenth. Variety caroliniana is known from CT, MA, NH, RI. 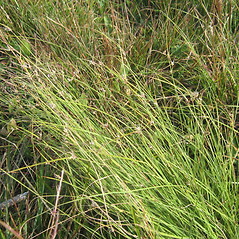 Variety pauciflora is known from MA, NH. by Reznicek et al. 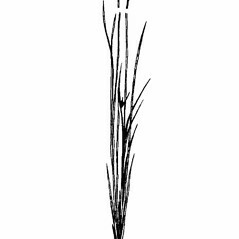 (2002), but specimens are unknown. Sandplains, oak shrublands, openings in woodlands, and low, seasonally wet, sandy areas.